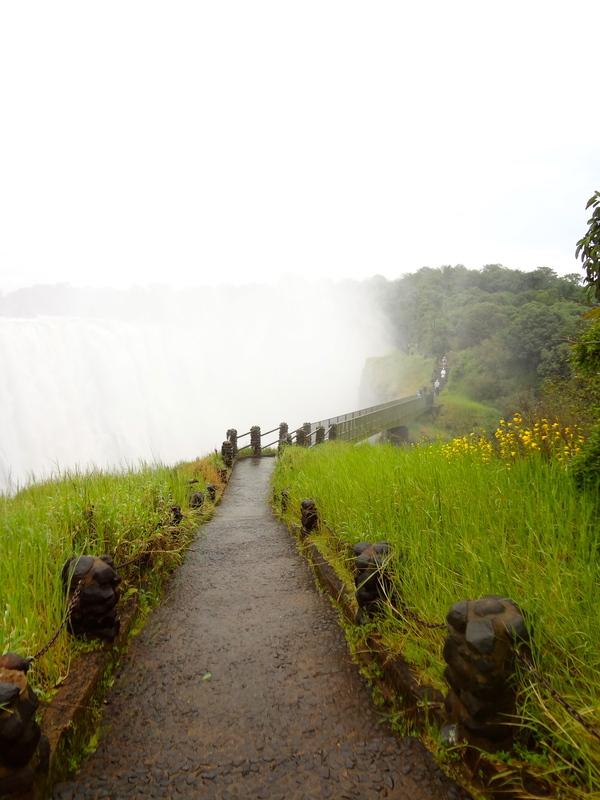 Victoria Falls was originally called Mosi-oa-Tunya, or The Smoke That Thunders. A fitting name for the largest sheet of falling water in the world, with a base of 1,708 meters, and a height of 108 meters. 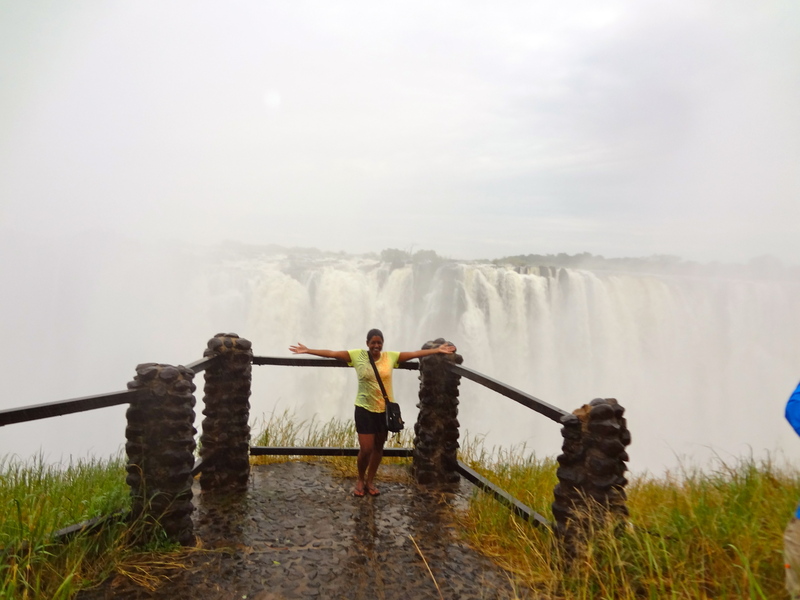 There’s no doubt as to why Vic Falls was named one of the seven wonders of the world! Knife Bridge. This bridge was so slippery! Yes, I realize there are railings on both sides. Didn’t make it any less scary! Needless to say, you get totally drenched! 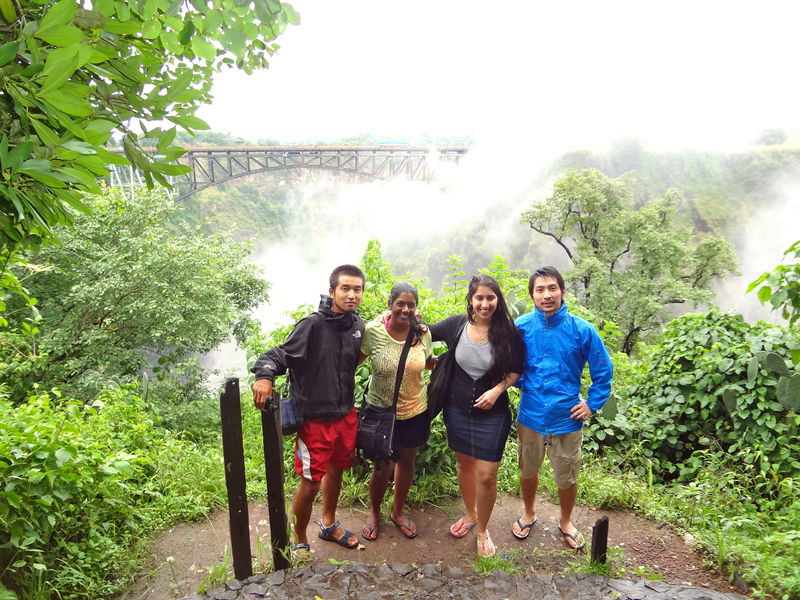 Our hostel pals, Jimbo and Kenji… and Joan! AKA Gita’s alter-ego. She is the proud owner of Joan Vanessa Enterprises, a newly launched travel agency, specializing in networking, and providing very little in the way of actual travel services. That little gem was dreamed up by Sunil and I on that long drive to Cape Point. Of course we thought it was hysterical (especially when other people started referring to her as Joan, although I’m not sure G was as amused! Gotta love the point in a friendship where you tease each other like siblings! 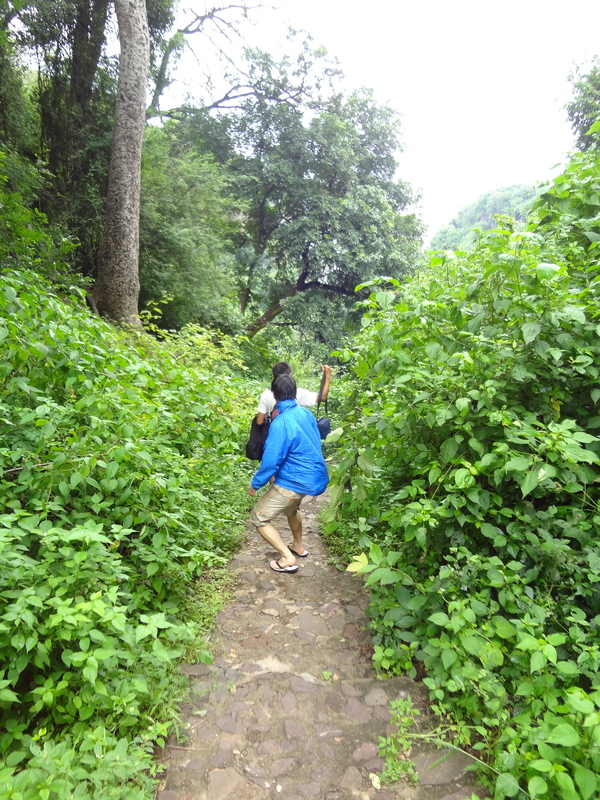 Walking down the steps, in wet flip flops no less, was not an easy task! 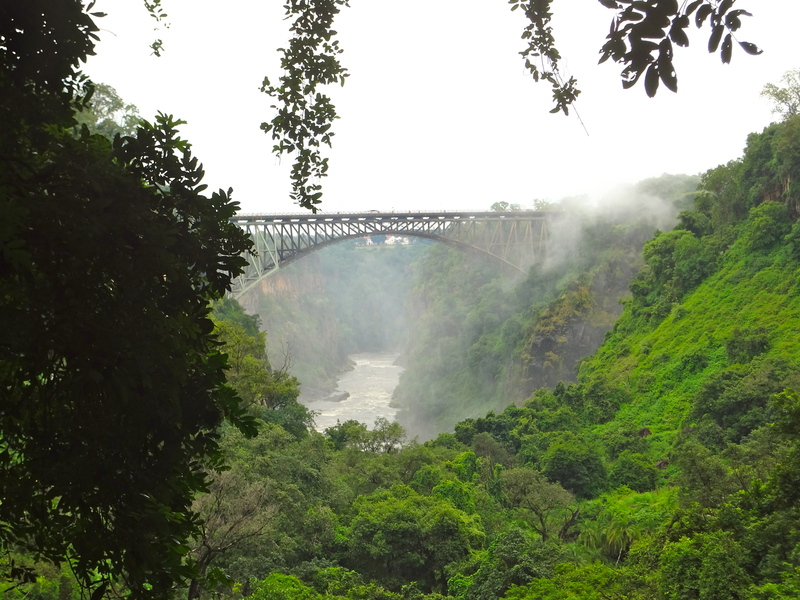 Another shot of the the bridge linking Zambia and Zimbabwe. People were bungee jumping off that bridge! Cool to watch, but I wouldn’t try it myself! The hike back up. A good workout, but nothing compared to Table Mountain. Perspective! 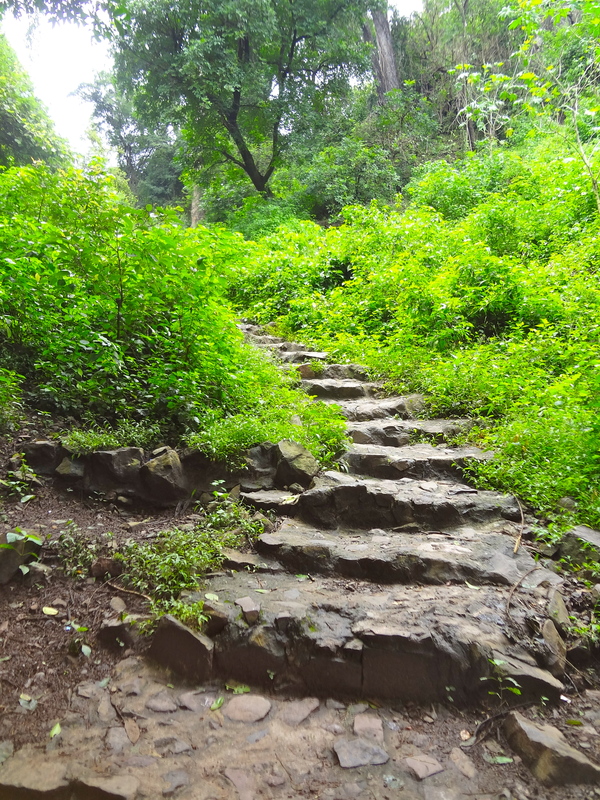 As slippery and steep as those steps were, that was not the most dangerous part of the hike. We were walking back up in a row, me, Joan, Jim-Bo, and Kenji. When all of a sudden I hear a scream… I turn around and see Joan being attacked by a giant baboon!!! I was so stunned that I just froze. Being a science nerd, of course my initial fear was that it would scratch her, and that she would contract some sort of crazy disease, and land in a Zambian hospital. Joan, on the other hand, was more concerned that it was trying to steal her bag! Next thing you know, Joan and the baboon are engaging on a tug of war with her bag, and three more baboons suddenly appear in the trees. Luckily, our hostel friends were a little braver and shooed them away by making noises and waving their hands, and they ran off. My biggest regret of this trip is that I didn’t capture this whole episode on video! 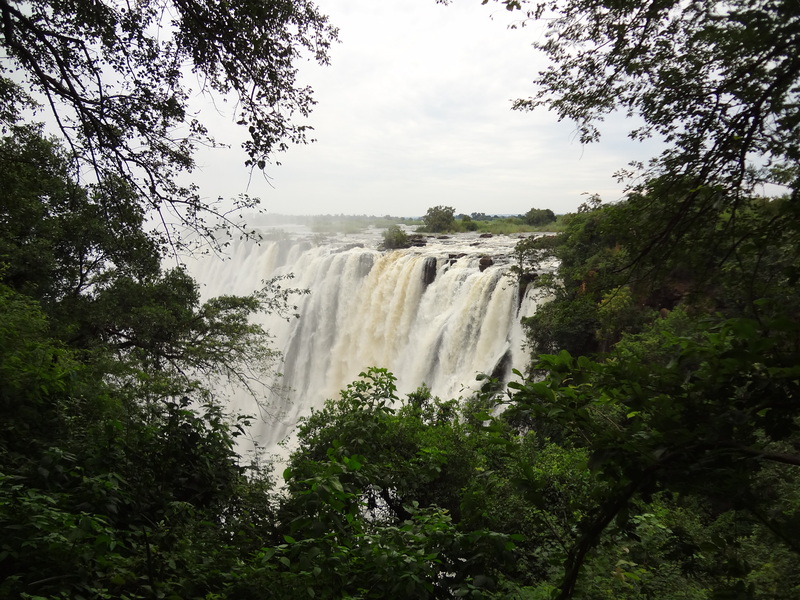 Anyone can visit Victoria Falls, but few get the opportunity to fend off baboons! Go Joan! Those baboons can be nasty! Good thing she didn’t get hurt! Totally caught us by surprise – I had no idea there were baboons present in the park! Yes, she is ok, and escaped unharmed… and with her passport, which was in the bag! 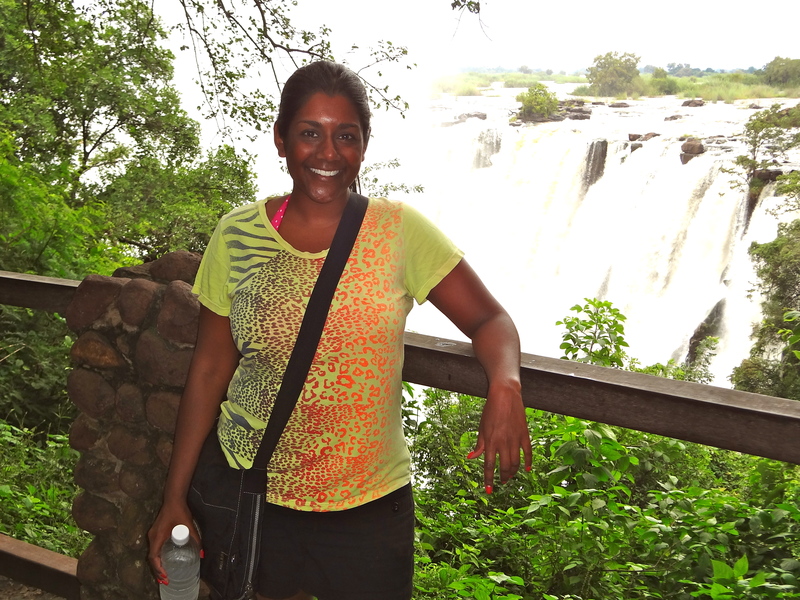 Kavitha – what an amazing trip – finally catching up on reading all about your adventures – i am so impressed, and now desperately want to travel!!!! Can’t wait to read more! Where is next on the list!!! Thanks so much Leah! You guys should join me on my next trip 😉 Which is still TBD! I gotta spend some time researching and looking up flights! 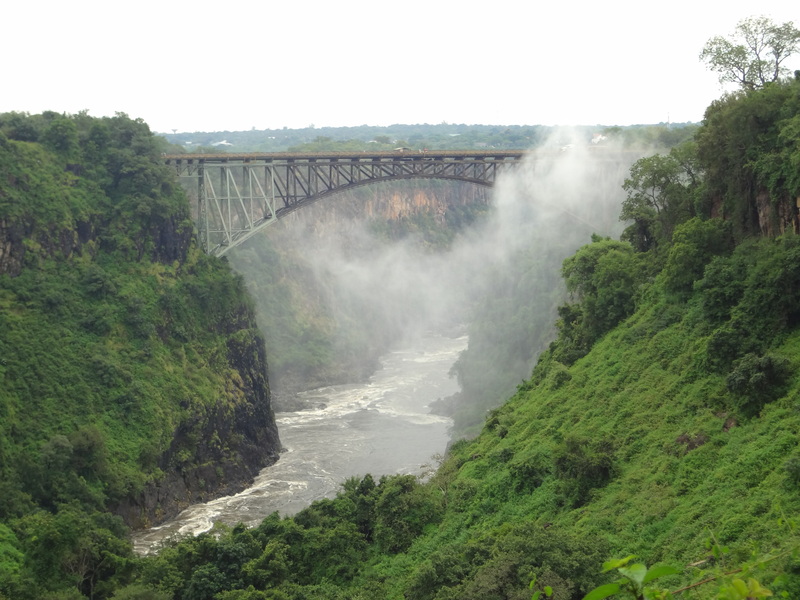 I believe there was an accident at the bungee jump recently at Victoria falls so its probably best you didn’t jump. Glad you were all able to scare off the baboons and that no one got hurt or bitten. They are pretty powerful animals. I heard about that bungee accident! Amazingly, the girl survived. And we all made it out of the park safe & sound! Andrew, did you go river rafting by the falls?? I need to hear more about this!